Email is a convenient way of communicating with friends, family, and at work but will become a nightmare if someone hacks you. Some data might be deleted, or the hacker can use the information for fraud purpose. Hacking is using a weakness a computer system to gain unauthorized access. Hackers get the motivation to hack to get information that people share on email. On lucky days, they can get bank account numbers, PayPal receipts, invoices and any financial details they can use to log in and access the money owners think is secure. Hackers will always be at work thus it is essential to take these protective steps. 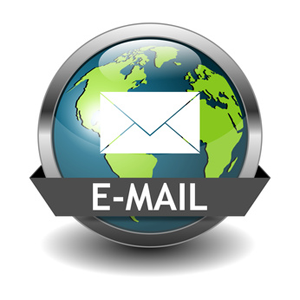 It is a good idea to have a different email account for each purpose such as work, online shopping, and business. No matter the number, a password is the first line of defense against hacking. Use different passwords for different email accounts. In case you forget to log out, or someone gains access to the password for one of your email accounts, it will be impossible to access all the others. If you have a password that is less than 10 characters use a mixture of lower and upper case letters, symbols and numbers otherwise it will not be strong enough. Do not rely only on a name, something around you or birthday as someone close to you might know about its identity and use it to hack. 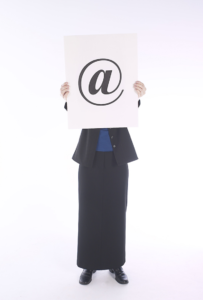 Most of the people use their email addresses or name as the username. It could be convenient, but it makes it simple for hackers to guess the username. Make it complex as the password using unrelated words that you mix with numbers and symbols. You should always use a computer with an up-to-date version of the latest anti-spyware and anti-virus programs. There are plenty of them, and you can even find free ones. It is also helpful to use Malware bytes to scan and remove malware including adware, rogue security software, and spy master. When you open an email check it carefully as it could be by a hacker using an email account by someone you know. You should be cautious as hackers use a subject line from one of the previous conversations. At the bottom of the email will be attachments with a description you are familiar with appear. If you click on it, a new browser tab will open with a form for login to read the attachment. If you rush and assume you have signed out, you will sign in another time. It is at this point that the hackers will get your email address and password then use them to access your account. It happens when you click on the attachment’s image sent the computer code that opens up a new browser tab and presents you with a fake sign on. Protect yourself by carefully looking at the site address. It should begin with “https://.” A hack will start with “data: text.” If you are on Gmail, “accounts.google.com” is the website address or host name. There are various browsers, but it is essential that you update your browser soon as you get the update request. Do not ignore those requests as some of the updates help to enhance security. Do not log in to your email account from public computers like internet cafes or hotel facilities as they might be affected with spyware. You should also avoid connecting with unsecured public Wi-Fi. Instead, use secure mobile data services such as 4G. Reduce click-through you perform on your emails, responding only when necessary. If you can, reduce such emails. Cyber criminals now I use phishing and other social engineering tricks as an incentive for you open your emails, click on the link and share some information even when it is in someone’s email or name. Using a trusted VPN service will encrypt all the data passing through the network. It works with your ISP provider to encrypt your transactions, offer protection from hackers and guarantees you that the IP address is hidden. VPN service also helps you to go round IP blacklists, regional blackouts, and censorship blocks.Hackers keep on inventing new tricks. It is essential to email passwords several times a year and takes all the precautions to prevent hacking.